CONGRATULATIONS to our 3rd year BBA students for winning the first place in the Business event ‘Fallstudie’, conducted during the festival ‘ORBIS’ 2014 at the SP Jain School of Global Management in DIAC, Dubai. The III year BBA team comprising of three students one each from International Business, Accounting and Finance clinched the first place in the business event Fallstudie, which tested all participant students on a set of video case questions. The team put in the best efforts to compete and to win-over a few MBA team from other universities also. 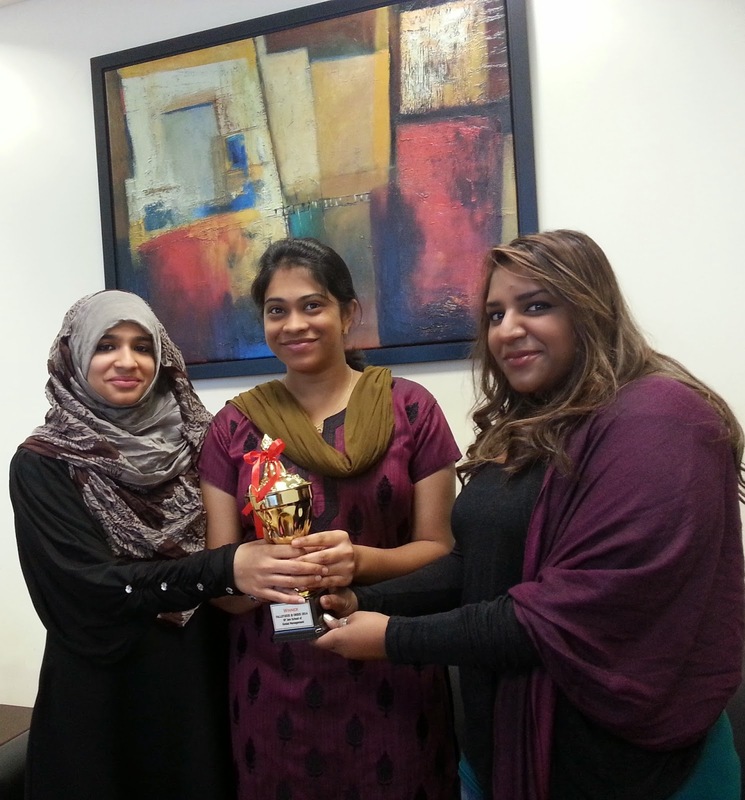 Shahana from IB specialization, who is a consistent academic performer at MU Dubai and a 4-GPA student along with Jency from Accounting, who has a flair to solve business problems and who has a keen eye for PR activities and Preethi from Finance specialization, a student who has a high GPA and who is excellent at solving finance related issues and problems in class, were the team members. Mujeebur Rahman, Julie Vardhan, Satish Kumar, Sulaksha Nayak, Shahzia Khan, Elizabeth Dhannya, Viswanathan, Dr. Sudhakar and Taramol.